Thirteen years ago, on the morning of September 11, Stephen Siller of the New York City Fire Department’s Squad Company 1, ran through the Brooklyn-Battery Tunnel with 60 pounds of gear on his back. His destination was the World Trade Center in Manhattan, where a plane had flown into one of the Twin Towers. After hearing report of the first collision on his scanner, Stephen, unable to drive through gridlocked traffic, moved as fast as he could on foot. He never walked away from the Towers that day, instead laying down his life while helping others escape the devastation. On account of that national tragedy and Stephen’s act of bravery, the Stephen Siller Foundation has organized an annual 5K for runners/walkers to follow in the last footsteps of an American hero. It is an event not to be forgotten, just as those who have died in the line of duty must be memorialized. 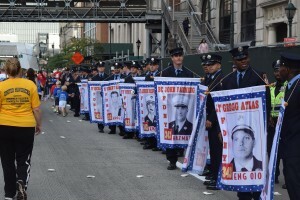 It is for that reason that New York City firefighters line up in uniform at the exit of the tunnel, each holding a banner with the image of one of their 343 comrades, who lost their lives on the day of the terror attacks. More than six thousand flags also fly along the route for each fallen military service member, who has died since that day in the War on Terror. 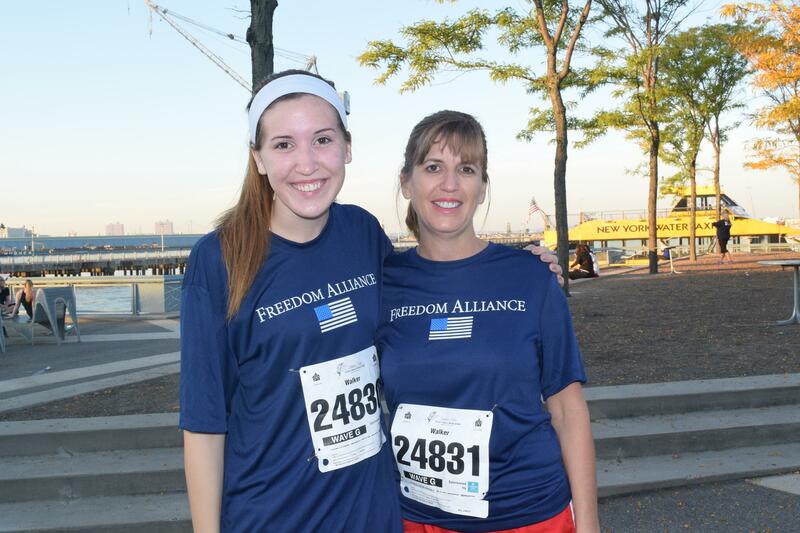 The foundation invites Freedom Alliance to participate in the Tunnel to Towers 5K each year by hosting one of our scholarship recipients as a special guest. Students who receive scholarships from Freedom Alliance are the children of veterans killed in service or completely disabled as a result of combat. 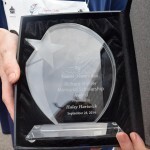 This year the chosen student was Haley Hartwick. Haley’s father, Michael, Chief Warrant Officer, Three, was in Iraq in 2006 when his Apache helicopter was gunned down by enemy fire. He lost his life in service to his country, and Haley lost her dad. Today, this resilient young woman is a sophomore at Baylor University. 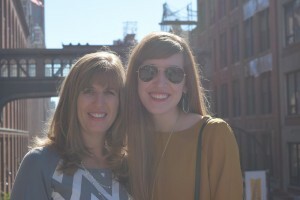 She and her mother, Kerri, flew from Austin, Texas, to join us in New York City, at the Marriott Downtown Hotel, which is located near the WTC memorial and museum. During their weekend in the city, Haley and Kerri, along with two Freedom Alliance team members, explored Times Square and Rockefeller Center. The ladies “tasted the town” on Saturday with a food tour from Our Town New York, to sample penny candy, hot dogs, lobster rolls, and more. They visited the Dominique Ansel Bakery early that morning to partake of the famous but limited-batch Cronut—part croissant, part doughnut. Then the day was crowned with a matchless dinner at (Freedom Alliance patron) Frank Casano’s Inatteso Pizzabar. Sunday was the day of the race, and Haley and Kerri made their way through the Brooklyn-Battery Tunnel to the site of the Twin Towers. Once there, mother and daughter were welcomed on the stage in front of a crowd of over 25,000, where Haley was presented with the Richard Sheirer Memorial Scholarship-Freedom Alliance Award. 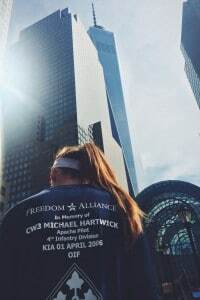 Haley, thank you for participating in Tunnel to Towers and honoring your father’s memory. Your unsinkable spirit makes us proud to include you and your mom in the Freedom Alliance family!